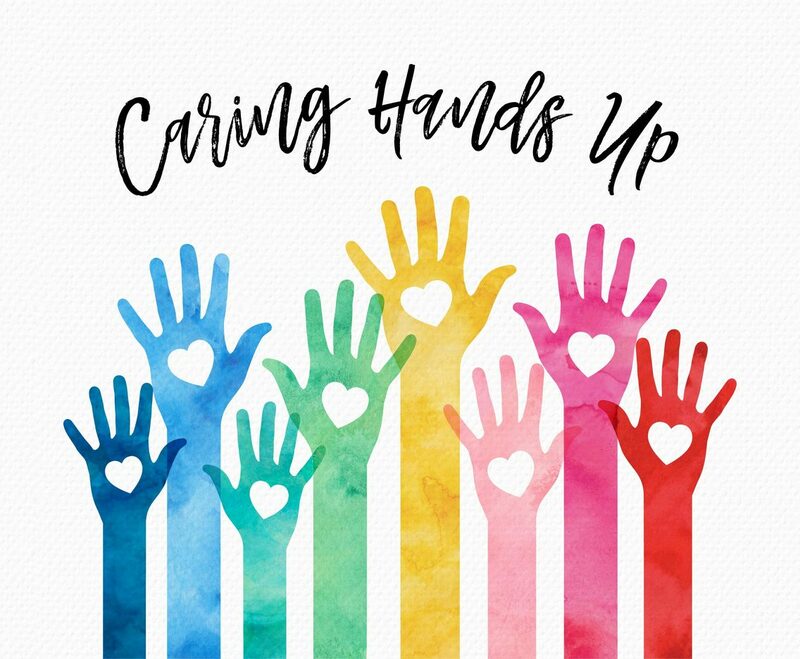 Colorful caring hands up. Vector illustration of raised silhouette hands with heart cutout filled with watercolor isolated on canvas paper texture. Great for use in health care, volunteer, medical, education and many more concepts.